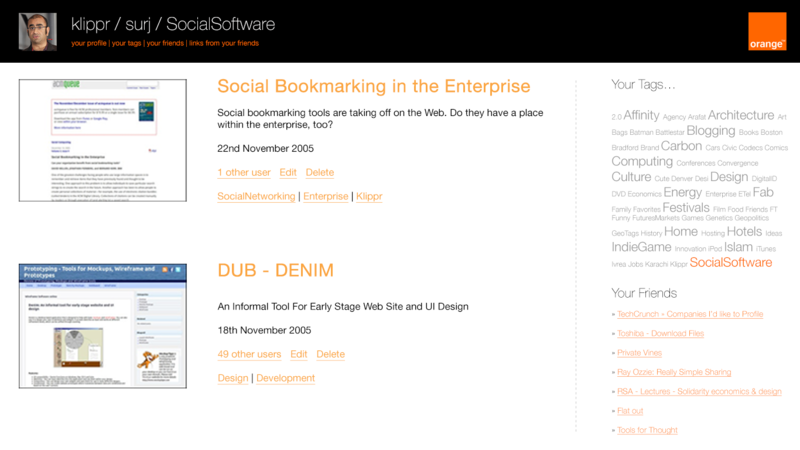 Orange’s Technology Research team saw social bookmarking services of the Web 2.0 era as foundational components for a social filing system for a user’s experience of the web. Carbon was commissioned by Orange to create a clone of delicious.com after negotiations to license or acquire Delicious came to an end. The clone was to serve as a “straw man prototype“, upon which Orange’s internal developers could innovate new concepts and stimulate discussion of the impact of Web 2.0 culture on Orange services.